We now see the Old Cemetery. A monastic settlement associated with St. Íomar, it is situated on an elevated setting on the northern slope of an east-west aligned gravel-ridge or esker, to the west of Killimor village. The site consists of a large graveyard, in the middle of which are the ruined remains of a medieval parish church. This graveyard was extended in the past; a drop in ground level east of the church indicates the original extent of the graveyard. A badly damaged seventeenth-century grave-slab survives. There are upwards of three hundred and sixty burial plots and three hundred and forty memorials in The Old Cemetery. The surnames on many of the older memorials are still recorded in the parish today. These memorials provide a visual record of burials in the parish from the mid seventeenth century to the present day. Over this time various styles of memorials were erected in the graveyard, with each generation providing a particular form of remembrance for their loved ones. However, it is certain that many, many others were also interred there who have no memorial to show their final resting place in the graveyard or in the old church located therein. A badly damaged seventeenth-century grave-slab survives within the chancel of the church. This high status grave-slab bears the name of William O’Tressy (Treacy) who died in 1649. Although the slab lies in three separate pieces and some of the inscription is missing, it can be established that the stone was commissioned by his father, Thomas Tressy. Against the inside of the west wall of the church is the next oldest memorial, which was erected by Michael McDermot, in memory of his daughter, Margaret, who died in 1775 at just sixteen years of age. It is the only one with embossed lettering. The memorial erected by Laurence Broderick, in memory of his father Hugh Broderick, who died in 1831, is a classic example of the skill of some stonemasons around this time, with this memorial bearing beautiful calligraphy and iconography. There is a tombstone lying inside the east wall of the church erected by the Reverend L. Dillon, Parish Priest in Ballinasloe at the time, in memory of his father Patrick Dillon, who died in 1840. This stone is unique in the graveyard due to the fact that of all the memorials there, it is the only one with embossed (raised) lettering. It only became commonplace for stonemasons to sign their works in the early 20th century. However, the earliest signed example in this graveyard is on the memorial of Hugh Larkin, who died in 1797, and is signed by the stonemason Michl. Reddan. Standing near the north western corner of the graveyard is the memorial to Patsy Shiel who was obviously very interested in trucks, as the memorial is adorned with an image of one on the right hand side. 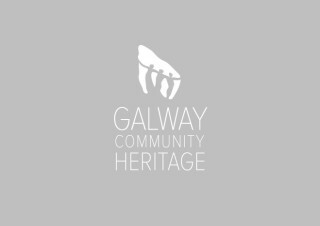 The symbol to the left represents his, and his wife Carmel’s membership of Comhaltas Ceoltóiri Éireann. A few metres to the south west of where the side wall of the church once stood, is the memorial to Francis Larkin, who was obviously a life long hurley maker and hurling fan, as the engraved crossed hurleys are on both sides of the memorial. 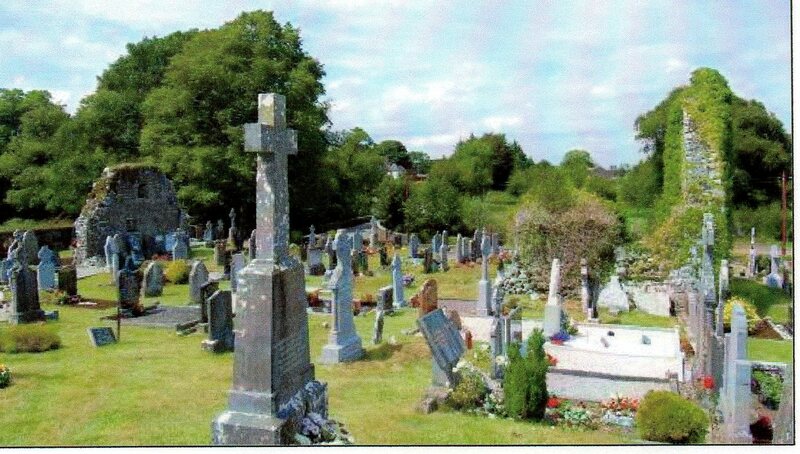 During the Millenium Year 2000 a memorial to the deceased children of the parish was erected in the Old Cemetery.